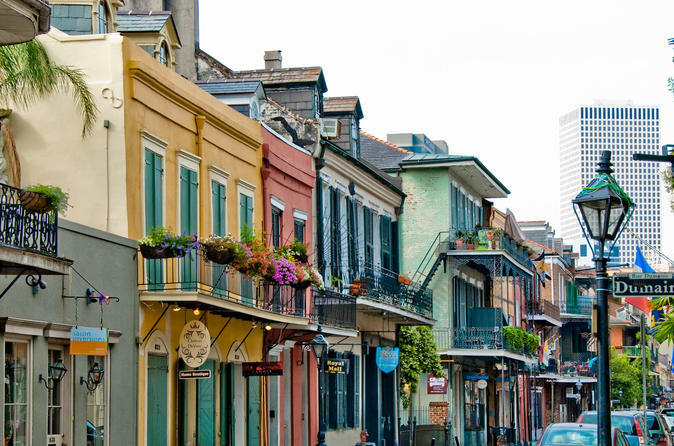 Explore the French Quarter on this 3 hour walking tour in New Orleans. Wander 1.5 miles of quaint, brightly colored streets in the city's best known neighborhood with a local guide who focuses on the people, places, and historic events that comprise the city's unique culture. Discover New Orleans through open discussion and engagement while learning what makes the French Quarter special with the help of an expert, friendly local. With a history going back through centuries of Spanish, French, and English rule, New Orleans is one of the most culturally diverse cities in the United States. Rich food, vibrant music, and eccentric local customs create a unique mosaic of people and tradition that sets it apart from anywhere else in North America. Nowhere is this more evident than in the city's best known neighborhood - the French Quarter. Although often seen as the wild heart of New Orlean's party and festival scene, this 3 hour, 1.5 mile long walking tour of the area will show you why the French Quarter is so much more than Mardi Gras craziness and famous bars. Your walking tour of this area will start at 9am, 2pm, or 6pm. After confirming your start time and meeting location near Jackson Square, you will start your discussion with a visit to the riverfront where you will learn about the origins of the neighborhood and the importance of the mighty MIssissippi in the growth of the city. From there, you will visit the Upper and Lower Pontalba buildings, the St. Louis Cathedral, the Cabildo and Presbytery before visiting select courtyards, Pirate's Alley, Royal Street, the Historic New Orleans Collection, the Louisiana Supreme Court, Exchange Alley and the Bevelo factory. You'll finish with a visit to Maspero's, the Napoleon House, the Pharmacy Museum and the Vincent Nunez House. Tours are meant to be flexible and allow you the opportunity to engage your guide with conversation, ask questions, and pursue areas of interest without the rigid adherence of a set itinerary. Instead of one-sided presentation, your guide will strive to make you a part of the learning and teach you everything they know about this fascinating, rich city.